Here's one of my early Christmas gifts to you. I'm giving you the prologue today! 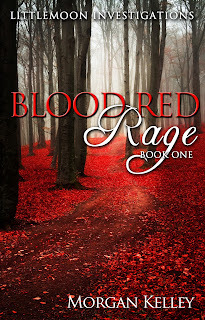 Also, after much deliberation (and the emails where you've begged and threatened to cry) I've decided to release Blood Red Rage (book 1) early. After all, he was an artist and nothing more. Then he allowed the darkness a tiny segue into his mind. He was not only a man who appreciated beauty. He watched her get into her car outside the bar, and she was a little bit tipsy. He had to admit that it made everything easier and turned him on even more. Now, all that he had to do was follow her away from there and make his move. She would be the first in his collection. For years, he’d watched and snapped pictures, but now it was all about the process of completing what he had always longed to do. Now, he would bring one of them home. As her car pulled away from the curb, he followed her a few miles to a location where he knew it would be safe. After all, he’d made this trip many times before, in practice for what was to come. It shocked him how easy it was to get her attention. With the flashing lights, she immediately pulled to the side of the road, not far from her home. There was no doubt that on this deserted stretch, this would be the ideal spot to take her. No cars would be passing by. No one would question it if they did. When she pulled over, he stalked confidently towards the driver’s side window. Staring in, he noticed that there was a look of nerves and fear on her face. That only made it so much better. “Have you been drinking, miss?” he asked, as he tried desperately not to snicker or laugh. She tried to calm herself before answering. If her words weren’t perfect, surely he would know the truth. “Yes, sir. I had two drinks at the bar, but I stopped a few hours ago.” Maybe, if she was lucky, he wouldn’t Breathalyzer her and find out the truth. After all, what was a little white lie? If it meant keeping her out of jail and the newspapers, it was certainly worth it. If worse came to worse, she’d pull the only big card that was left. There was no doubt that by using her daddy’s name, it would save her from getting in trouble. She did what he asked, and as she swung her long legs out of the car, her heel caught a piece of gravel and she stumbled. As she practically fell onto the man holding the flashlight, in her heart she knew the truth. He pulled the handcuffs from his jacket pocket and turned her around to fasten her wrists behind her back. When she could no longer see his face, he grinned wickedly in victory. “I’m sorry! Please let me go! I won’t drink anymore,” she offered, willing to say anything at that point. Man, her father was going to be pissed off when she called him from the jail. “You know that I can’t do that, Melissa. You’re going to have to come with me,” he replied, softly. With the last click of the handcuff, he finally leaned down to her ear as his body pressed against hers. “I’ve been watching you for so very long,” he replied, running his hand up her leg to her hip. Suddenly, the need to escape overwhelmed her. There were so many things wrong with the entire scenario. Melissa just didn't notice them before. Now that she did, the fear was pounding through her. His calm laughter broke the silence of the night, drawing her attention, and up rose the possibility of trying to escape. She began struggling, praying that she could break away from him. Fight or flight kicked in, and she wanted to put as much space between them. 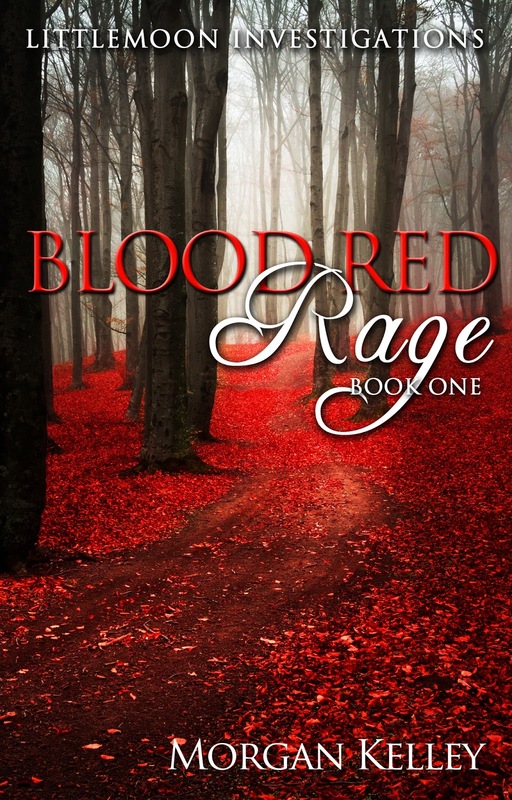 The rage built in him and coated his vision in a fine sheen of blood. His prize was trying to ruin his collection. The last thing that he wanted was to put bruises on her body, but something had to be done, and desperate times called for desperate measures. Grabbing her by the hair, he slammed her forehead off the roof of the car. As quickly as her struggles began, they ended. Sweeping her up into his arms, he carried her to the trunk of his sedan. This didn't please him at all. As he placed her inside, he once more ran his fingers across her pale flesh and to the growing lump on her forehead. Yes, it would eventually heal and not leave a mark on his precious prize, but still, he was irritated at her unwillingness to hand herself over to him. How could he live with himself if he damaged his own collection? Racing back over to the car, he quickly wiped down the outside and anything that he may have inadvertently touched. He didn't want to give anyone a way to trace him. Not that they would ever suspect him. He was the boy next door. Racing back over to his car, he hopped in and pulled away. Tonight was an amazing night, and he was about to bring home the first woman that he ever loved. Finally, patience had paid off. A few hours later, she awoke. Her body was inside some make shift cage. As she tried to sit up, she found that her ankles and neck were tethered with duct tape. Her head swam as she tried to figure out what the hell was happening. She stared around the concrete room and counted the ten cages. No other ones were filled. She was the only one there. “If you let me go, then I swear that I won’t tell anyone. I don’t know where I am, so I can’t tell the police where you live,” she begged, already hoping that the man could be rationalized with on some level. In the back of her mind, she was memorizing his face. Something about it seemed… familiar. His laughter said it all. Yes, she’d seen things like this on the news, but never did she believe that she would end up a victim to such a horrible crime. How did this all happen? Why was she locked in a cage in his basement? He moved closer to the woman and began snapping more pictures to keep the memories fresh in his mind forever. Now, he could go back and relive this time over and over again. “So, you’re going to collect women?” she asked, the horror still evident in her voice. If she could hear it, certainly he could too. He grinned without offering her a single word. She stared at him, her lower lip beginning to quiver. “And that is?” Melissa asked, almost terrified to know. Melissa knew what that meant, and it made her wanted to vomit. When his hand entered the cage to stroke her like a pet, she began to scream. Again, he smiled. She could call for help all that she wanted. There was no one to hear her or stop him. He had made sure of that months ago. Panic reverberated through her body as she fought against the restraints. She watched him open the front of the cage and pull a hypodermic needle from his back pocket. His handsome features twisted in anger. She shook her head and tried to avoid the long needle by moving her body as far as she was permitted. God, she couldn’t let him do this! Who knew what was in that hypodermic. It gave him an iota of pleasure as he shoved it deep into her thigh and pumped her full of drugs. “Please,” she begged. “Please don’t do this to me. I didn't do anything to you,” Melissa slurred as the drug began to take effect. He ignored her words, as he straightened her disheveled club wear and waited until it was safe to take her out and play with her. After all, he liked his women to be kept neat and orderly. There was no reply from her, as her head dropped back and her eyes rolled up into her head. With that, he set her free of her bonds and took the time to thoroughly enjoy his newly acquired treasure. Like any good collector would.